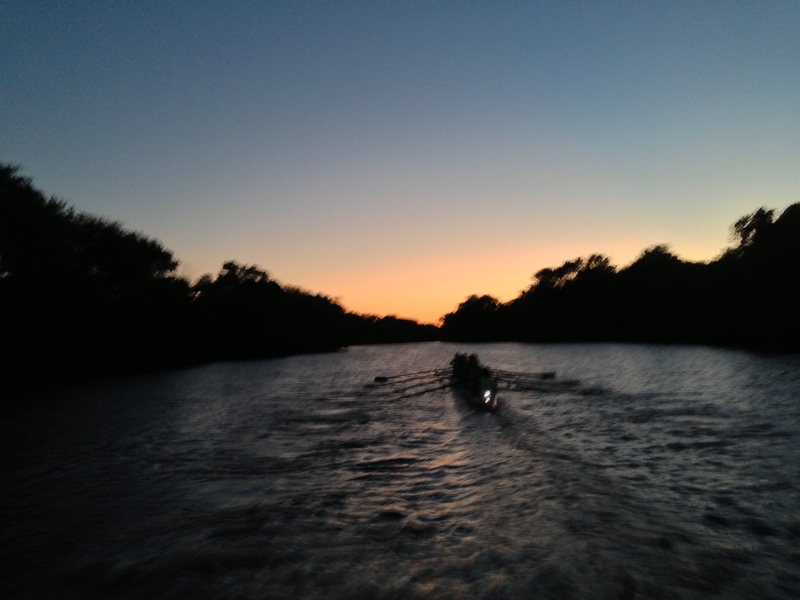 One more week until the Renegade Rowing Team races at the Rumble on the River! Have a game plan for each piece including the split and stroke rating you want to hold. Ideally each piece will be done a little bit faster. If you’re working on efficiency or sequencing, focus on one fix each piece. Perhaps you find your breath and rhythm on the first. Or maybe it’s sequencing and body preparation that needs attention on the second. If you choose the right pace it will build your confidence and you will be ready to tear up your next 5k and Rowing WOD. Post your average 500m split for each piece to comments. This entry was posted in Rowing and tagged endurance sports, functional movements, mental toughness, rowing, sports, training by Renegade Rowing. Bookmark the permalink. Starting to see a trend in my performance. Musician’s hours combined with the new volume are causing me to over reach, I think. I’ve been sucking wind the last round lately. Advice? Hey Graham, totally feel you on the crazy schedule. I run into a similar problem with coaching early mornings and late nights. Make sure your fighting to get at least 7 hours of sleep and if you can’t, try to get in a good nap. You’re executing the first 3-4 rounds in all of these workouts really well. The goal is to have you fighting and really breathing hard in the last one. If you know it’s been a long week or couple of days and you’re not at the top level of performance, then accept that, keep executing as long as you can, and in that last piece just work as hard as you can. If the form and intensity are up you will see the results come race day. These workouts with more volume are meant to be tough to get you mentally prepared for race day. On your rest days be sure to get good mobility and enjoy the rest. If you do think you’re starting to over reach, take an extra rest day, work on something different, and reset. Keep at it Graham, doing awesome! Thanks for the solid advice. I’m going to keep at it – its just that its been a few workouts since I’ve “killed it”, and it gets discouraging. Thanks again for the reply, I will follow your advice. Well I am trying to get back to it. Haven’t worked out in over 2 months so my times are pitiful. Plus ran out of time for last 2k. But here are the results. No worries Chris! Glad to have you back. One day at a time, just have to show up and do good work. Keep it up!